CropStop: Follow Up Friday -Lacy 8 Valentine! Follow Up Friday -Lacy 8 Valentine! Vicki here today...With Valentine's Day a week away, it's time to roll out that special Valentine for the one you love. 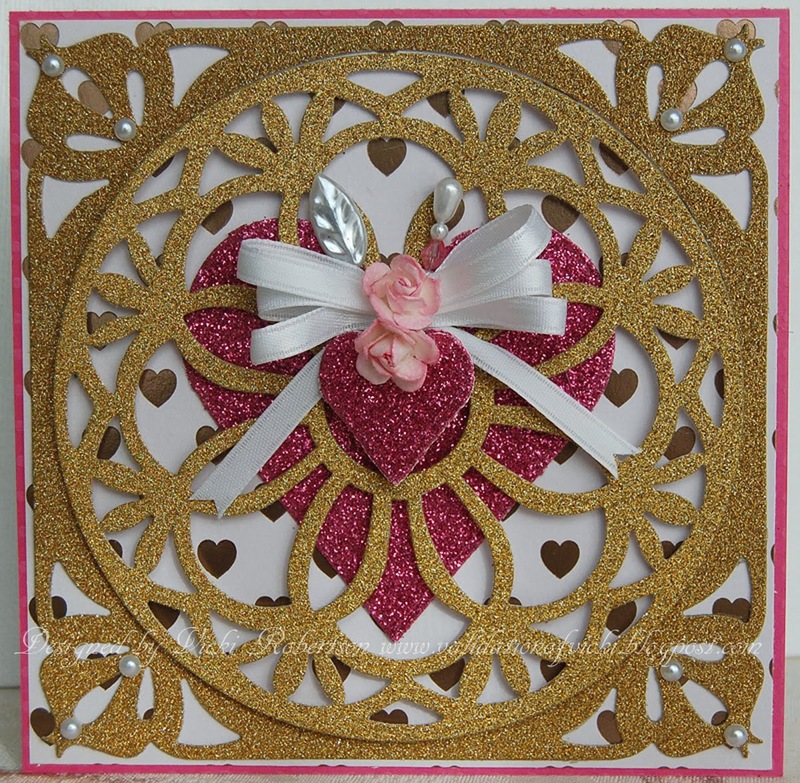 I'm sharing a card today that I created using the Couture Creations Madeline Collection - Lacy 8 and Nested Hearts Die-cuts. This one is for my sweetheart. I'll save the sentiment for inside! The card base of white cardstock is layered with both pink and white/gold foil heart patterned paper from Theresa Collins, You Are My Happy Collection. This collection is part of my Frosted Designs January Kit. It is full of scrappy goodness! 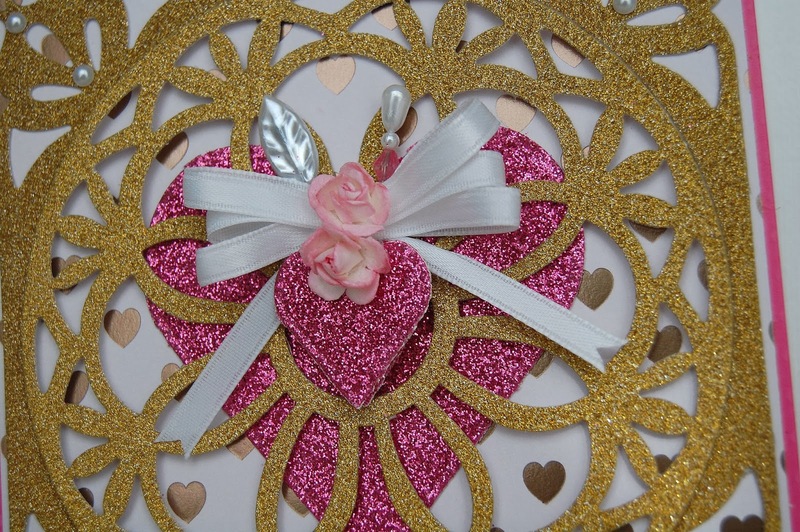 I used the Lacy 8 die with the gold glitter paper and the Nested Hearts with the pink glitter paper. The Lacy 8 is a two part die...the outer frame portion and the ornate, inner circle. After adhering the frame to the card, I centered the large pink heart in the open circle area. Next, I applied foam mounting tape to the back of the ornate circle portion of the Lacy 8 and adhered it over the heart. I double layered two smaller die cut hearts and adhered them over the center opening of the ornate circle with more foam mounting tape. Here's a closer look at the different layers that give the card a 3-D appearance. To embellish the card, I adhered Couture Creations Moonlight Pearls to the 4 corners of the frame, added a bow, flowers and a couple of stick pins. I tied the multi loop bow using my Craft-Dee BowZ bow maker tool. I hope you enjoyed my Valentine inspiration! Shop at CropStop, the stopping place for paper crafters!